Removals & Storage is a very interesting industry not only are we able to visit many towns, cities and countries but also have the opportunity to meet a vast amount of people. Over the years we have travelled to unimaginable places meeting wonderful and interesting people are is a selection of just a few. 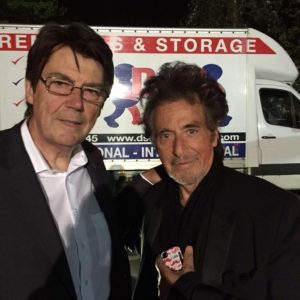 A night with Al Pacino Leeds Pavilion charity event we have the rare chance to get a photo with these well know gentlemen. Removals & Storage while the house was redesigned this was an emotional experience and we are so proud to be a part of the team. 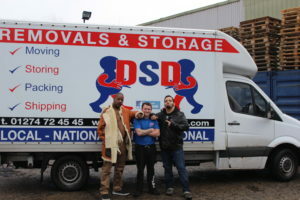 USA show storage hunters come to the UK after searching for suitable locations they choose our facility twice.